Like paper tickets before them, major theater chains may soon be doing away with scanners to read smartphone tickets. The website MovieTickets.com announced today that it’s rolling out smartphone tickets that will be verified with real human eyes, as opposed to red scanner eyes that verify with a beep. To bring us scannerless smartphone ticketing, MovieTickets.com partnered with Bytemark, a company specializing in mobile ticketing systems requiring little more than smartphones. 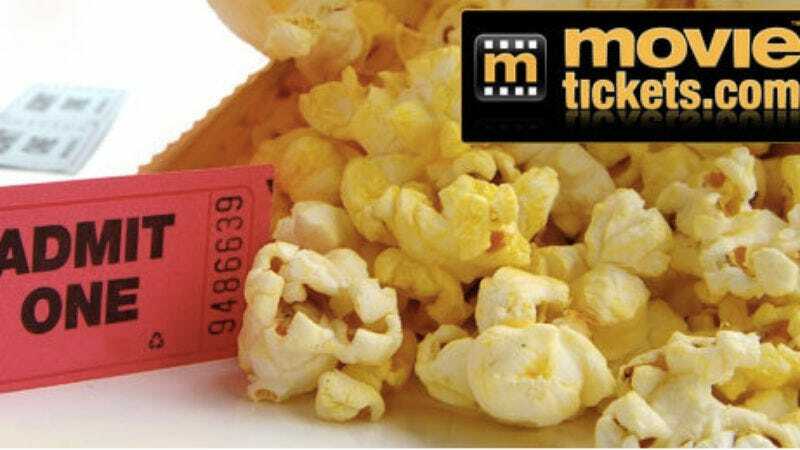 MovieTicket.com’s smartphone tickets will use Bytemark’s “V3” technology, or “visually verifiable virtual” tickets, starting next year. Theater staff will visually validate the ticket using its animated watermarks, touch animations, and color changes, with the ability to customize tickets to individual showtimes and theaters. To top the process off, there’s a virtual “tear” feature to allow patrons to get back into their movies. Those nostalgic for the days of real ticket tearing can take comfort in this skeuomorph of a virtual tear and enjoy using their smartphones to get into a movie theater, before getting berated for using smartphones inside the theater.